The Panic Room — GTFO! You wake up on a hard, cold stone floor. You try to remember what could have possibly transpired the night before but your brain is irritatingly drawing a blank. Something about a delirium-inducing drink and a hasty cab ride home? All of that is hardly a concern now—more pressing is the rather foreboding lobotomy experience looming over your head. Can you and your newfound friends escape the eerie Kimberly Asylum before the harsh orderlies come to take you to the even crueler Dr. Jostle who will be performing the archaic procedure? The stakes are high and your path to freedom is quickly closing, you must take your chance to escape before the opportunity vanishes completely. First of all, I want to say that the 6 other people that we were put with were amazing people. I usually have bad experiences when paired with another group of people. This was the first experience of having a great group. 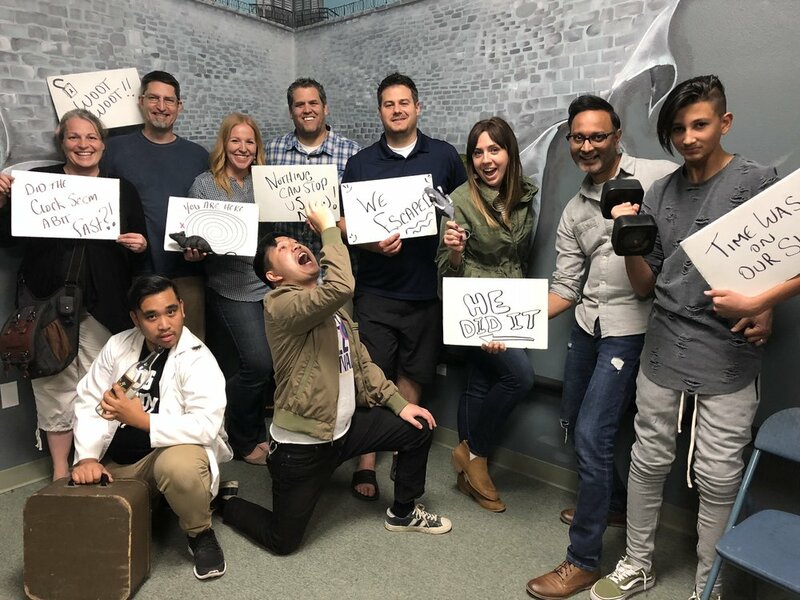 I called in to this escape room and spoke with Jeff, who was very nice and friendly as he talked about the two different rooms of this facility. Our game master, Luis was also helpful and had a positive attitude. The room was unfortunately a different story. After the experience, I was trying hard to find positive things about the room. I felt the room was small to accommodate 10 people. There was definitely a lot of bumping into each other. The puzzle flow was linear and felt like a pattern. It felt repetitive as there were many locks and a lack of variety with the puzzles. Although there was a jail cell that was designed well, the immersion into an asylum was on the weak side. As I said before, I was trying to find positive aspects about this room. I would say that it is a good escape room for beginners due to the nature of the puzzles. However, I do not recommend this escape room for the price of $30. You can get a better value somewhere else.